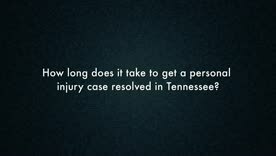 How Long Does It Take To Get A Personal Injury Case Resolved In Tennessee? In this video, John Griffith of GriffithLaw discusses how long it takes to get a personal injury case resolved in Tennessee. 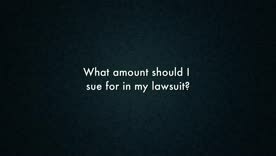 Don’t Undersell the Value of Your Accident Injuries In this video, John Griffith of GriffithLaw discusses how to determine the amount you should sue for in your personal injury lawsuit. 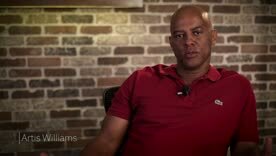 Artis Williams Client Testimonial Artis reached out to our personal injury law firm after a slip and fall accident at an apartment complex left him with severe injuries. Is It Okay To Post About My Car Wreck Case On Social Media? 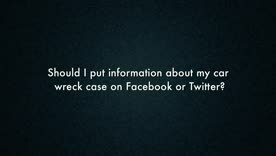 In this video, John Griffith of GriffithLaw discusses if you should put information about your car wreck case on Facebook or Twitter. 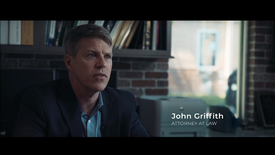 Common Mistakes People Make On Their Own Personal Injury Case In this video, John Griffith of GriffithLaw discusses whether you need an attorney to handle your personal injury case in Tennessee. 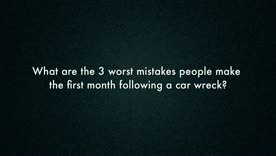 What are the 3 worst mistakes people make the first month following a car wreck? In this video, John Griffith of GriffithLaw discusses the worst mistakes people make the first month following a car wreck. No one ever expects to be in a car wreck. Your life and your finances can change instantaneously. Now, your work and your family's income is affected through no fault of your own. You now have medical bills with no idea how they should be paid. You may have lost a loved one or be facing many physical consequences perhaps permanently. Victims and their surviving family members often feel like they’ve been left to pick up the pieces and get past extreme physical, emotional, and financial hurdles on their own. While the reasons for accidents may vary, most victims and their families share similar fears about the future and feelings of helplessness. When facing huge insurance companies and complex laws, they may not know what their rights are, how to deal with claims adjusters, or how to pay their medical bills. Helping good people in your situation is all we do. At GriffithLaw, we understand how accidents change lives. We make it our job to provide relief to victims and help them get back on their feet by forcing the insurance companies to make it right. If you have questions after you have been hurt or lost a loved one, don’t hesitate to reach out to us at 615-807-7900. Our experienced personal injury lawyers are compassionate, professional, and ready to help you get answers about what has happened to you. If you are unsure if your concerns are something we handle, or if you are unsure if you have a case at all, don’t be afraid to reach out to us online or by phone to discuss your situation in detail. 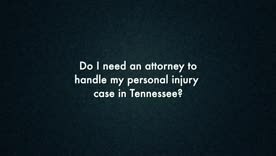 Why Choose Our Nashville Personal Injury Lawyers? It can be hard to find the best personal injury lawyer for your accident or injury case—or even to know what to look for in an injury lawyer. 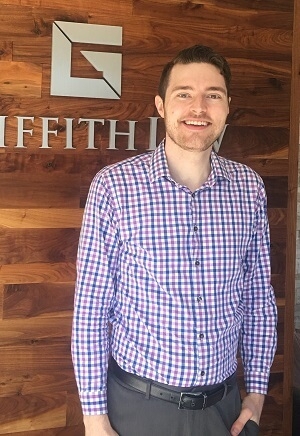 At GriffithLaw, we understand what it is like to be confronted with confusing phone calls from the insurance company and mountains of complex paperwork. We understand how insurance adjusters and company representatives work with vulnerable accident victims—and how bullied those victims sometimes feel—because we used to be insurance adjusters, ourselves. 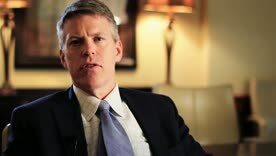 You need the best injury lawyer possible to stand up for your rights. We are thankful that we can now focus solely on our real passion: helping victims and families protect their rights and get fair compensation for injuries caused by someone else’s careless actions. 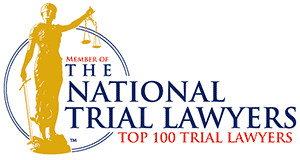 While we may seem friendly and down to earth when working with our clients, we use our legal knowledge, experience, and exceptional trial skills to aggressively represent our clients in difficult matters. And we get real results. 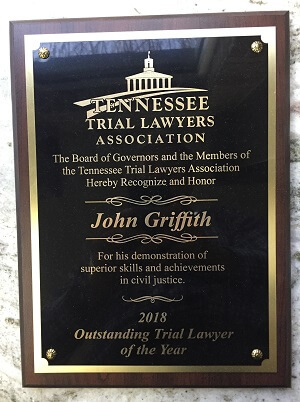 Just recently, Founding Attorney John Griffith has been recognized as the 2018 "Outstanding Trial Lawyer of the Year" by the Tennessee Trial Lawyers Association. 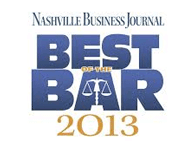 In addition, the firm has been named "Best Law Firm" by Brentwood Lifestyle magazine. We encourage you to take advantage of a free, no-obligation case review with us and get to know us better. You won't pay anything unless we win your case! We look forward to helping you learn more about your rights and how we can help you succeed with your legal goals after a tragic injury or death. If you’re ready to start getting answers, contact our Franklin injury law office today at 615-807-7900. 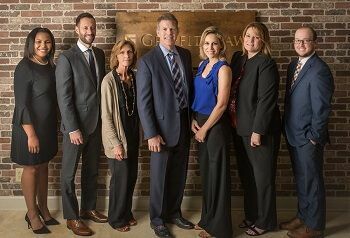 We passionately represent injured people and families in our home state of Tennessee, including Williamson, Davidson, Dickson, Franklin, Sumner, Rutherford, and Humphreys Counties.